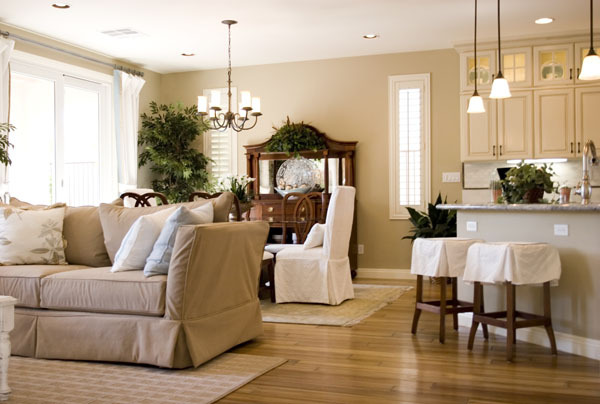 To clean your home in minutes it is generally should be kept neat and tidy. If clothes is hanging on the chairs or stuff is cluttering the room there is something wrong with organizing. First thing to do in order to keep your home clean is to organize things. Shelves keep books and CDs in order, while closet organizers help keep the rooms clean of scattered clothes. When your home is organized it is easier to keep it clean from dust, crumbs and dirt. Sweeping or vacuum cleaning regularly will reduce the hours of housework. Wiping the surfaces including stove and sinks to keep away the difficult spots, grease and grime that results from it. The key secret to fast cleaning is to keep all your personal things and interior decorations in place, clean and organized. Tide up things everyday. If you spotted a stain do the washing or wipe the floor or wall. And here it is clean again. Thus you’ll save the hours of cleaning everything that got dirty, messy, untidy. Thus if you’ve got only half an hour or even less you will be able to clean your home in minutes. Clear out the sink, it should look clean and shiny. Wash the dishes after every meal or load the pile of plates that’s left there into the dish-washing machine and wipe the sink clean. Wipe the stove with damp cloth and sweep the floors. Kitchen’s ready in just 6 minutes. Wipe the surfaces in the living room with damp cloth and tide up the sofa. Pick up the crumbs and dust with vacuum cleaner. Pick up and organize the CDs or books. Voila the living room is clean in 5 minutes. The bathroom needs to be a little freshened up. Wipe the sink and toilet seat and rim and sweep the bowl with a brush. Wipe the mirror with slightly damp cloth to get rid of dry drop stains. And the bathroom’s ready in 3 minutes. The same with other rooms, it is easier to maintain order and cleanliness when it is done on the regular basis, when the things are organized correctly and every little mess is eliminated the minute it occurs.